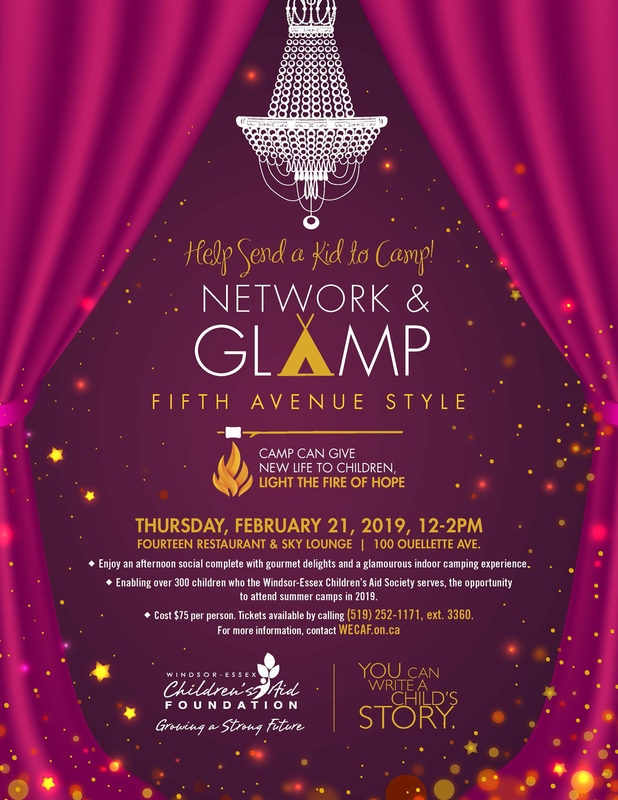 The Windsor-Essex Children’s Aid Foundation invites you to a really cool new event, ‘Network & Glamp’, a fundraiser for the “Fresh Air” Summer Camp program. Enjoy an afternoon social from noon until 2p.m. with gourmet delights and a glamourous indoor camping experience at Fourteen Restaurant & Sky Lounge in downtown Windsor. For more information and tickets, call 519-252-1171, ext. 3360.